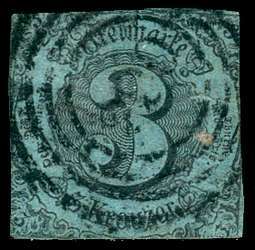 Scott #11, 1860 2sgr rose Numeral. 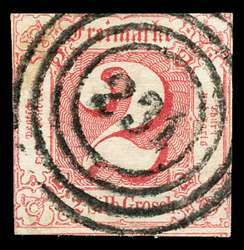 Used F-VF with VF #231 cancel. 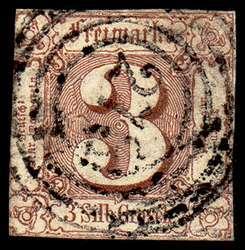 Scott #12, Imperforate, 1860 3sgr red brown Numeral. Used F-VF. Scott #44, Used Ave, thin. 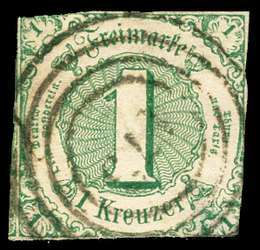 Scott #47, Used Ave, thin. 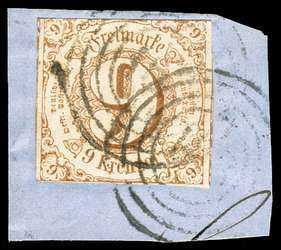 Scott #55, 1862 9kr bister Numeral. Used F-VF tied to piece.